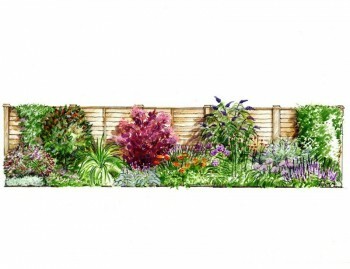 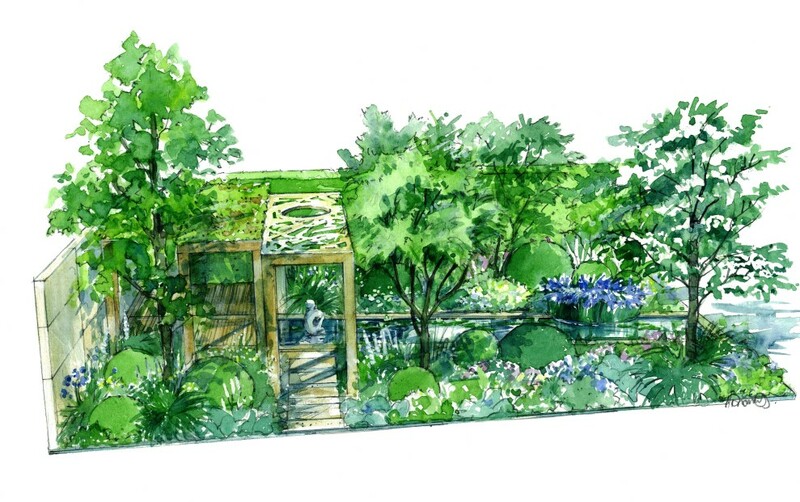 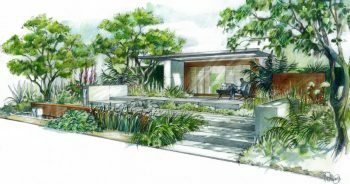 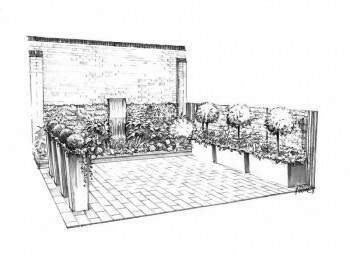 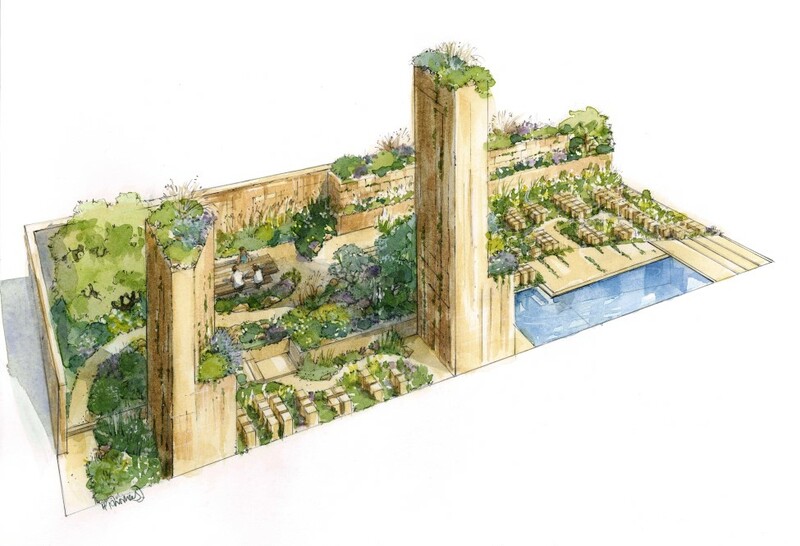 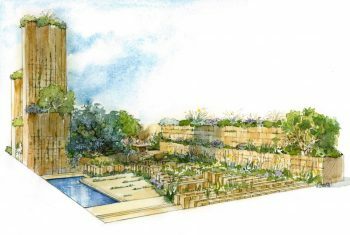 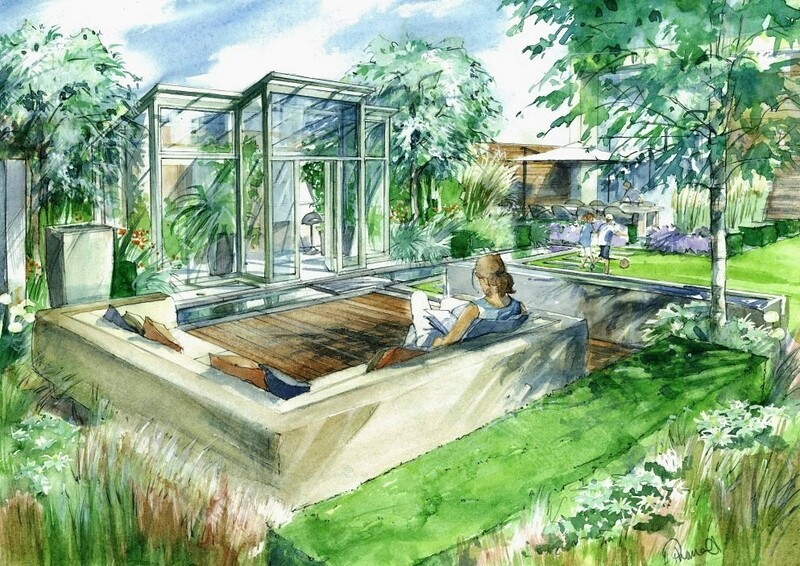 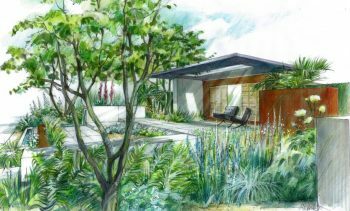 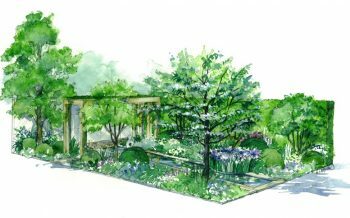 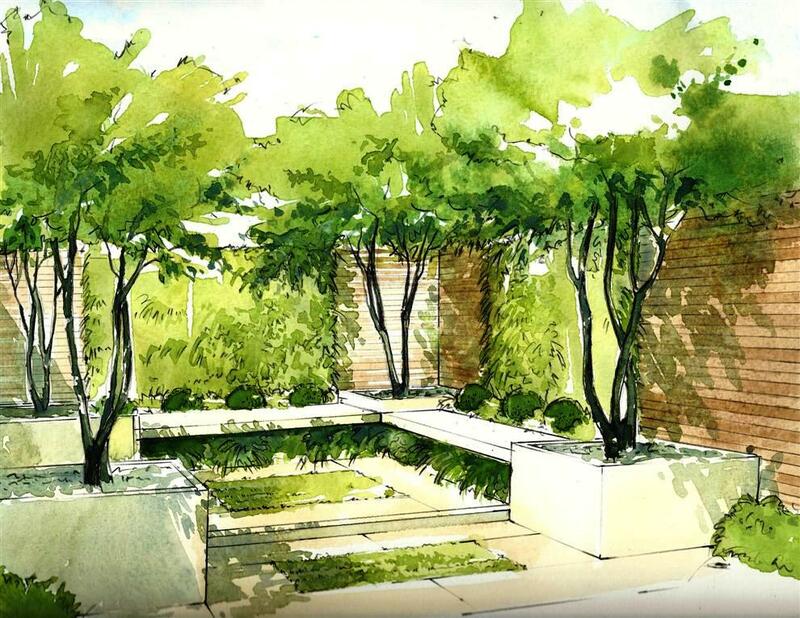 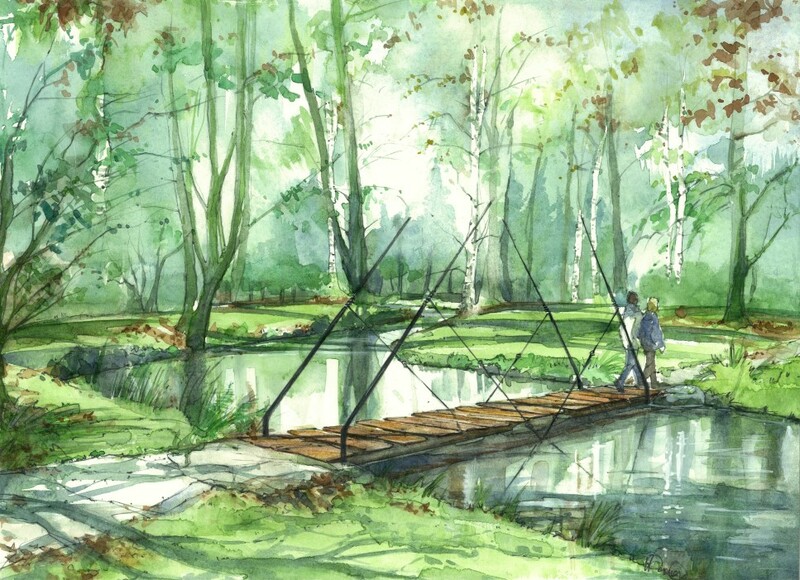 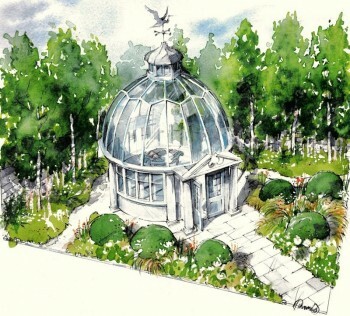 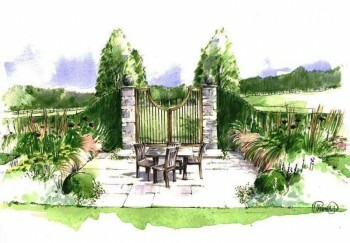 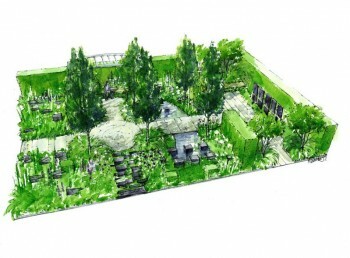 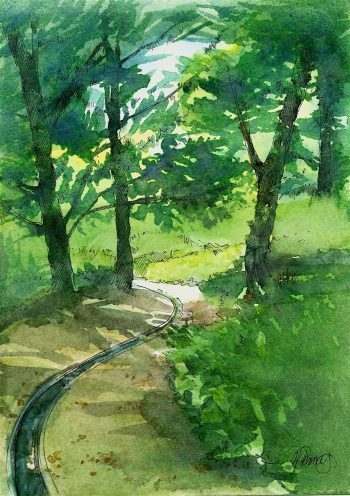 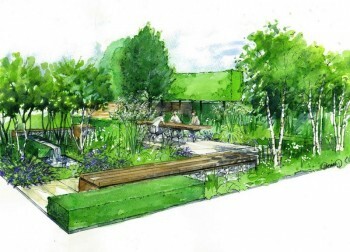 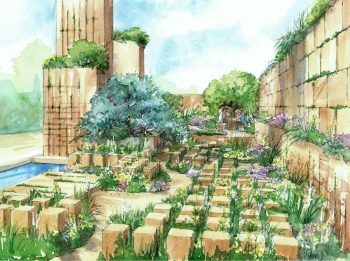 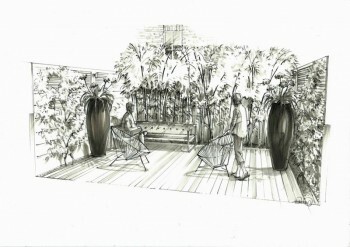 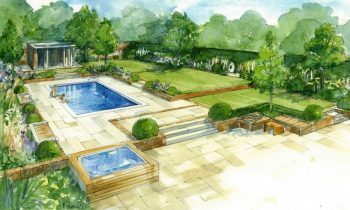 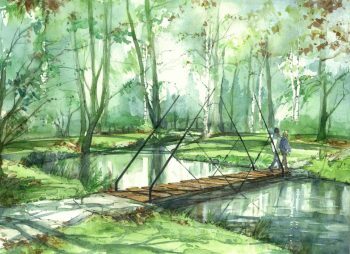 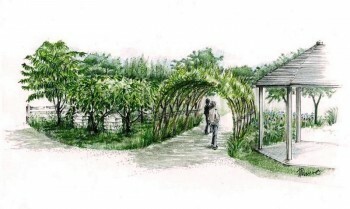 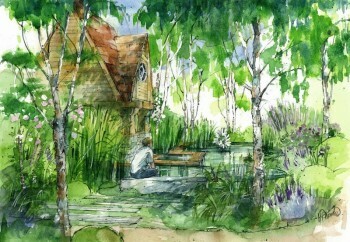 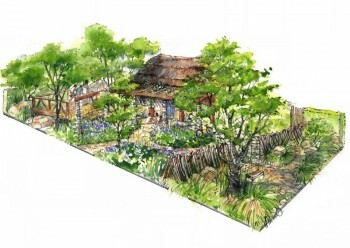 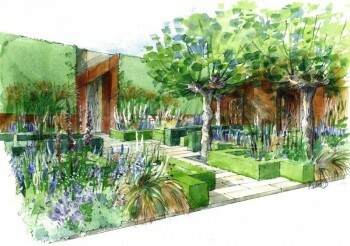 Helen Thomas trained as a landscape designer and specialises in hand rendered perspectives for Designers, Landscape Architects, RHS flower shows, press releases, planning applications and company websites. 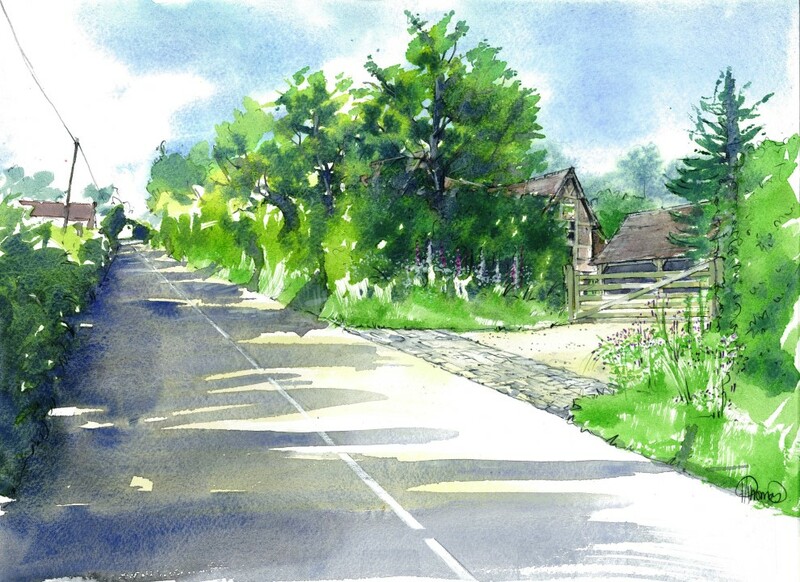 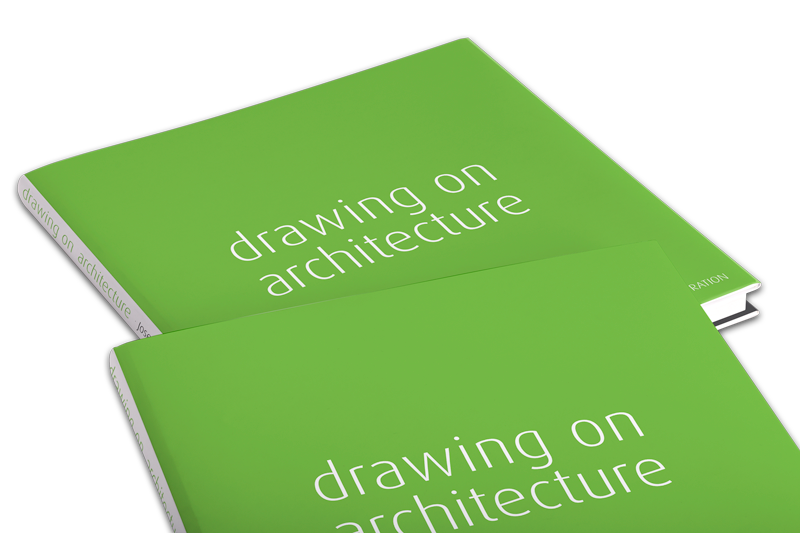 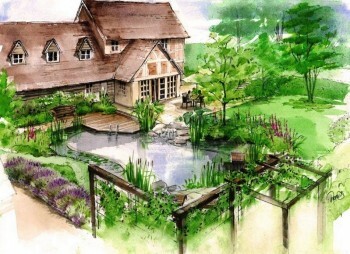 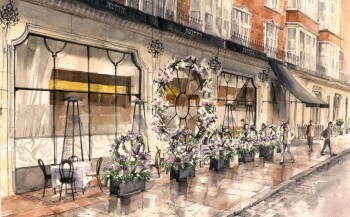 Working in watercolour, coloured pencil or marker, artwork is produced from scale plans and photos after a draft proposal of the best views has been approved. 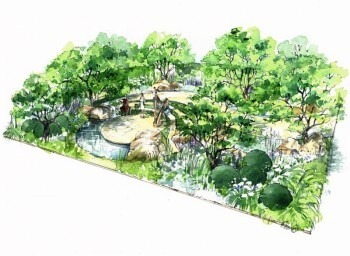 The final work is normally submitted as a hi-res jpeg image.